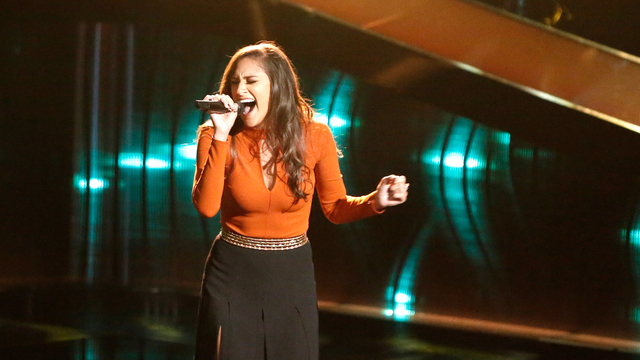 No Comment Alum Stuns On "The Voice"
This past Monday night, the aca-community witnessed first-hand the success of one of its own. Micah Tryba, an alum of University of Illinois at Urbana-Champaign's No Comment took center stage on "The Voice" and dazzled both the audience and judges. The night was made even better as both Gwen Stefani and Blake Shelton turned their chairs and hopes of convincing the talented young singer to join their respective team. In the end, Micah choose Blake as her coach. But the highlight of the night for us was her mentioning of how her college a cappella experience played a role in her development as a musician. Check out the blind audition in the video below.